A family favorite that is requested by everyone!! Make them as part of a Holiday gift basket! 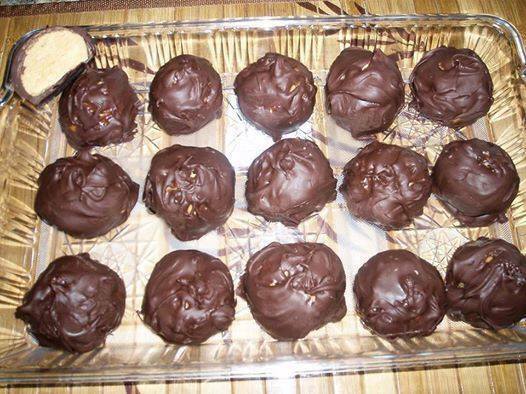 Dip peanut butter balls into chocolate w/ toothpick letting the excess coating drip off. 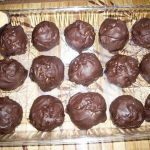 Return the chocolate coated peanut butter balls back pan until chocolate is firm. Store in a Ziploc bag in the refrigerator. Love your recipies please keep posting.